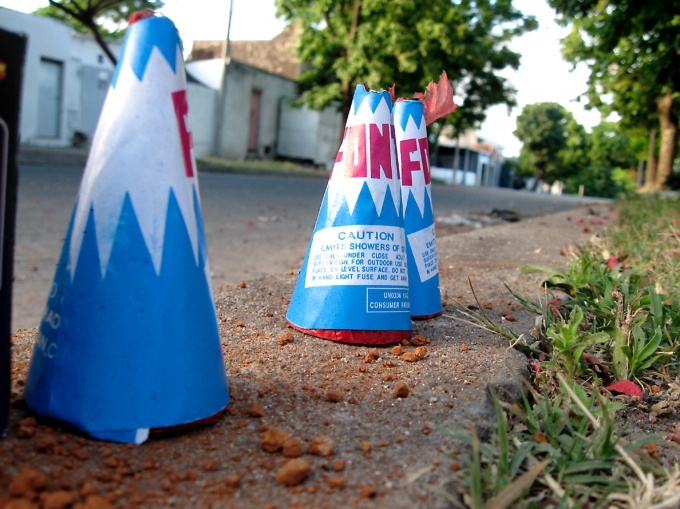 A cone is a geometric solid whose base is a circle and the lateral surface of all segments drawn from the point outside the plane of the base, to this base. A straight cone, which is usually seen in a high school geometry course, you can imagine how solid formed by rotating a right triangle around one of the legs. Perpendicular cross-section of the cone is the plane through its vertex perpendicular to the base. Draw a cone with the specified parameters. Mark the center of the circle as O and the top of the cone — like P. You need to know the base radius and height of the cone. Summarize the properties of the height of the cone. It is a perpendicular drawn from the vertex of the cone to its base. The point of intersection of the height of the cone with the plane of the base in a direct cone coincides with the center of circular base. Build an axial section of the cone. It is formed of the base diameter and forming a cone that pass through the point of intersection of the diameter with the circumference. Denote the resulting points as A and B.
Axial section is formed by two rectangular triangles lying in one plane and having one common side. Calculate the area of the axial section in two ways. The first method is to find the areas of the resulting triangles and put them together. This is the most obvious way, but in fact it does not differ from the classical calculation of the area of an isosceles triangle. So you have 2 right triangles, a common side which is the height of the cone h, the second the legs are the radii of the circular base R and hypotenuse — forming cone. Since all three sides of these triangles are equal, then the triangles also turned out to be equal, according to the third property of equality triangles. The area of a right triangle is equal to half the works of the other two sides, that is, S=1/2Rh. The area of the two triangles, respectively, will be equal to the product of the radius of the circular base to a height, S=Rh. Axial section are often regarded as an isosceles triangle, a height which is the height of the cone. 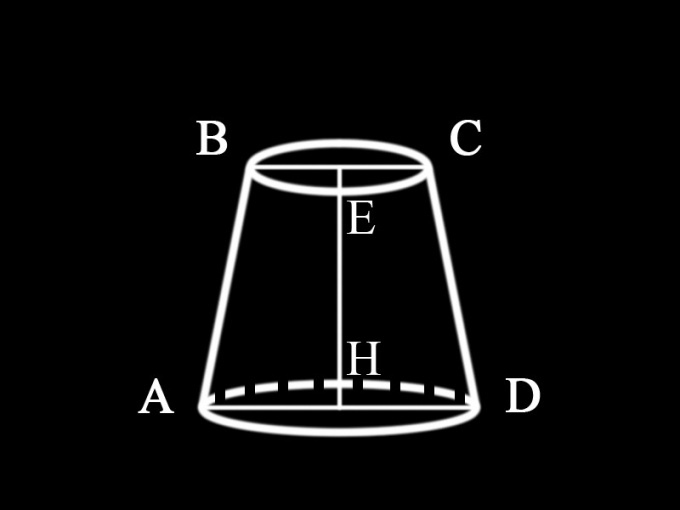 In this case, the triangle of art, whose base is equal to the diameter of a circle base of the cone D, and the height equal to the height of the cone h. Its area is calculated by the classic formula of area of triangle, that is, in the end we get the same formula S = 1/2Dh = Rh, where S is the area of an isosceles triangle, R is the radius of the circular base and h is the height of the triangle and is the height of the cone. The area of the axial section of the cone is computed by the formula area of a trapezoid. In this case, it is necessary to know both the radius of the bases, height and bisector. To solve this problem, it is necessary to remember that such a truncated cone and which properties it possesses. Be sure to make a drawing. This will allow you to determine what geometric figure represents a cross section of a cone. It is possible that after the solution of the problem will not be present for you difficulty. A round cone is the body obtained by rotating a triangle around one of its legs. Direct, outbound from the vertex of the cone and intersecting the base, called forming. If all the generators are equal, then the cone is straight. At the base of a circular cone is the circle. The perpendicular on the base from the top, is the height of the cone. Have a round straight cone height coincides with its axis. The axis is the line connecting the vertex with the centre of the base. If horizontal clipping plane of a circular cone parallel to the base, its upper base is a circle. Because the clause is not specified what kind of cone is given in this case, we can conclude that this is a straight circular truncated cone, horizontal section which is parallel to the base. Its axial cross-section, i.e. a vertical plane which passes through the axis of the circular truncated cone, is ravnovesnoi trapeze. All of the axial cross section of a round straight cone are equal. Therefore, in order to find the area of the axial cross-section, it is required to find the area of a trapezoid, bases of which are the diameters of the bases of the truncated coneand the side of his form. The height of the truncated cone is both the height of the trapezoid. 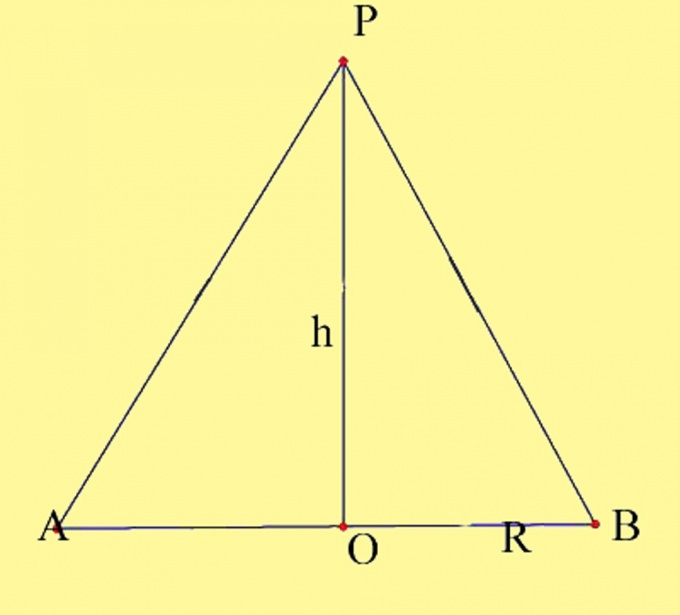 Area of a trapezoid is given by:S = ½(a+b) h, where S is the area of the trapezoid;a is the value of the lower bases of the trapezoid;b – the value of its upper base;h = height of the trapezoid.